SO/ Sofitel Singapore is a luxury boutique hotel ideally located in the city-state's central business district, fusing old-world charm with a dash of playfulness for a delightful hotel experience. Singapore is a cultural melting pot, with influences from a wide range of ethnic diversities. Curious travellers arriving in Singapore, also known as the Garden City, will be greeted by rows of trees and greenery the moment they step off the plane. Housed in an iconic heritage building in the heart of the city, SO/ Sofitel Singapore the property blends Sofitel's signature art-de-vivre and the island's cosmopolitan vibe across the key pillars of design, gastronomy and cousu-main service. 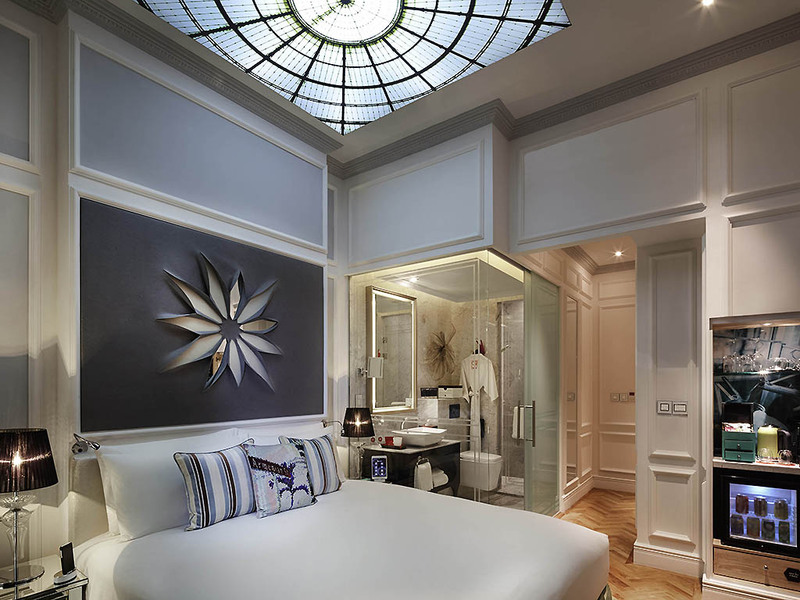 Voyage from Singapore's colonial past to its modern future with a neo-classical façade that leads to a contemporary Parisian-inspired interior. Greeted by a gleaming atrium, you bask in the glow of marble, mirrors and hexagonal light sculptures. High fashion and pop art abound. 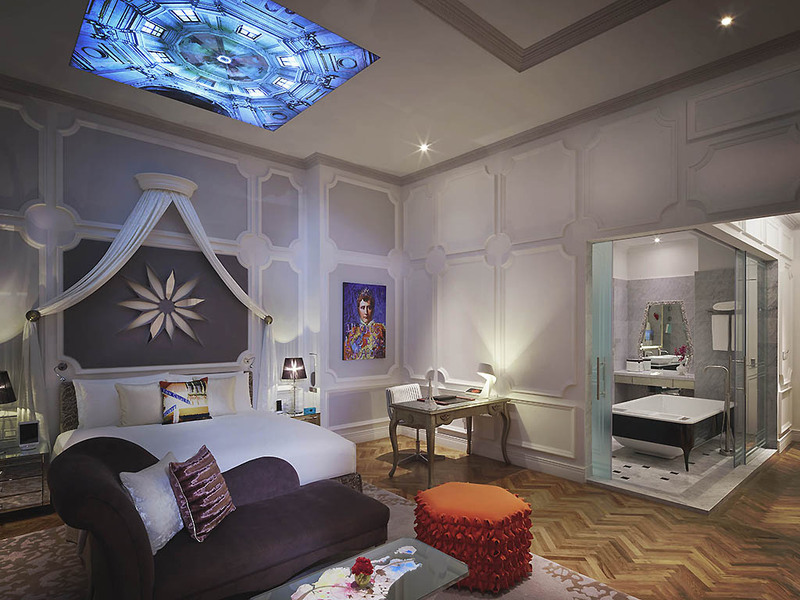 Throughout a boutique getaway you encounter signature touches from famed fashionista Karl Lagerfeld, while French interior designer Isabelle Miaja lends modern flair with vibrant graphic images and vivid paintings. 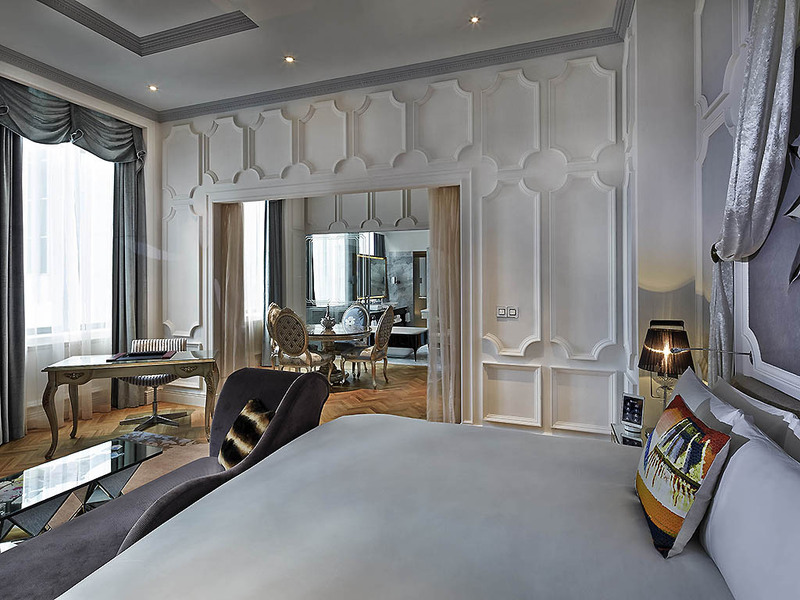 Escape to a suite blending European opulence and island accents. Images of Singapore street scenes mix with French cupola-style light boxes and paneled walls that echo a Parisian apartment. 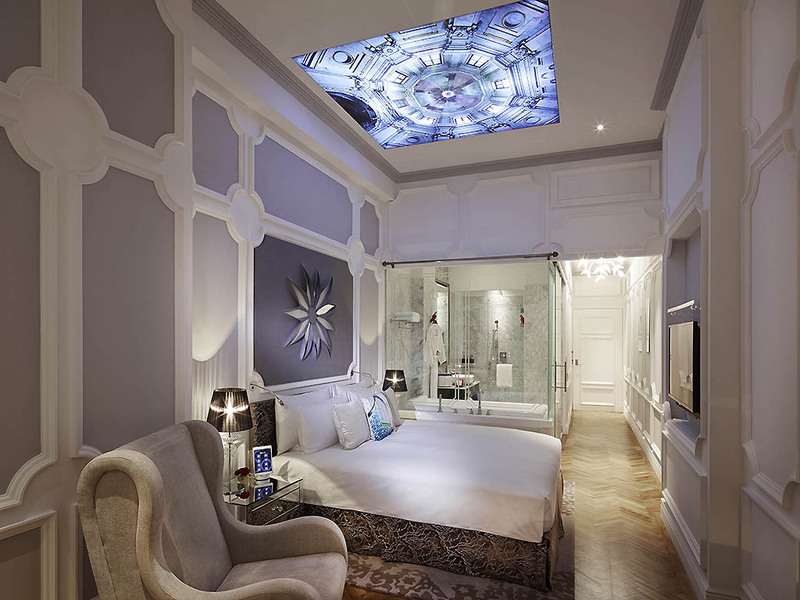 An iPad controlling the room's functions adds a futuristic feel. Located on Robinson Road in the city's thriving Central Business District, SO Sofitel Singapore provides an elite address to explore the island. Located on Boon Tat Link, parallel to Robinson road, the hotel drop-off point can be reached by Boon Tat Stree t from 3 AM to 7 PM on weekdays and from 3 AM to 7 PM on weekends and public holidays, or by McCallum Street from 7 PM to 3 AM on weekdays and from 3 PM to 3 AM on weekends and public holidays. Experience the vibrancy of Singapore's Business District from the hotel's So Heritage Wing graced with neo-classical columns. Step into the city's most impressive design hotel suites, where 19th century French grandeur meets 21st century modernity. Up to 55 m², Sofitel MyBed, rain shower, automated iPad room control, WIFI, Illy coffee machine, His and Hers SO Toiletries, buffet breakfast, signature cocktail, and unlimited local calls. Max 2 guests including children. 80 SQM / 861 SQFT, Automated iPad room control, Private bar, Sofitel MyBed, Bathtub & Rainshower, His and Hers Bath Amenities, Champagne breakfast, Signature cocktail, Complimentary Wi-Fi, Coffee Machine. Rollaway bed available upon request. Up to 92 m², Sofitel MyBed, bathtub, rain shower, automated iPad room control, WIFI, private bar, Illy coffee machine, His and Hers SO Toiletries, Champagne breakfast, and signature cocktail. One rollaway bed allowed. Max 3 guests including children. 24 hours in room service is available. Join us for an interactive culinary experience around a 20-foot long state-of-the art French Molteni Oven, as Sofitel So Singapore's culinary designers delight patrons with unique contemporary international cuisine and seasonal offerings. From Sofitel So Singapore's lobby to its iconic rooftop, celebrate the hotel's sophisticated art-de-vivre with a wide selection of vintage and New World wines, state-of-the-art cocktails and the finest champagne. Indulge and take delight in a wide array of homemade confectionary, cakes and chocolates at the lobby lounge. Sip on cocktails and enjoy bar grub as the lounge transforms into a hip bar by night. Xperience Restaurant offers delightful modern European dishes with Asian influences, promising guests a one-of-a-kind and interactive culinary journey. Perfect for business meetings or social gatherings, Xperience is an ideal venue for any occasion. Enjoy crafted cocktails while basking in relaxing cabanas at HI-SO Rooftop Pool Bar with 360-degree views of the city's urban skyline. Perched atop the exquisitely restored and iconic heritage building, embark on a gastronomical journey with the bar's innovative selection of artisanal equatorial cocktails, delicately paired with tantalizing sharing platters of modern tapas and bar bites. 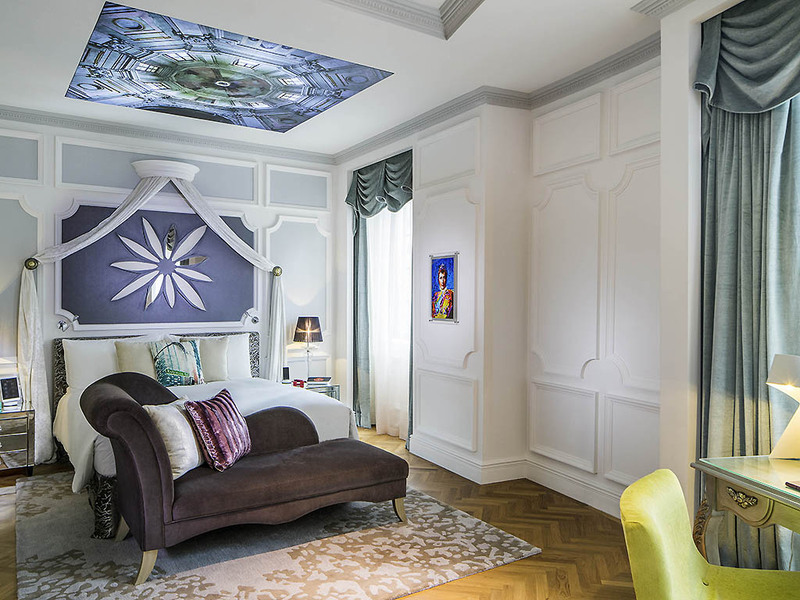 Imagine your dream honeymoon in a suite dripping with French decadance, from an inviting canopied bed to art depicting Parisian street scenes. With curiosity stirred, you open your Koibito Love Kit to find organic massage oil among other intimate items. Let SO Sofitel Singapore's well-connected City Guru lead you to the hottest parties, restaurants and shops in town. Experience local lifestyle, explore travelers' hotspots or satisfy corporate needs with the hotel's expert and personalized service. It is with enthusiasm and inventiveness that the SO Sofitel City Guru enjoy finding the seats for a concert that has been sold out for weeks, the table in the restaurant that everybody covets or a magnifique gift to celebrate a special occasion. Whether you're looking for an airport pickup or to explore local hot spots, contacting the City Guru at the concierge desk puts you in a luxurious limousine. Treat yourself and your guests to a stylish tour of the tropical island's exotic offerings. With sublime views of Singapore's skyline, the rooftop infinity pool invites you to relax and rejuvenate. The Marina Bay Golf Course offers luxurious greens and picturesque rolling fairways only 5.5km from Sofitel So Singapore. The hotel's Concierge will delight golf players with more recommendations of the best Singapore golf courses available. Sculpt your body with an intense workout at the hotel's So FIT gym. Reach a pleasurable adrenaline rush- climb the rock wall, customize a session with our private trainers, and set your personal record on the latest cardio and strength equipment.